The exploratory laparotomy surgery is used for diagnosing and staging ovarian cancer. In patients who already have confirmed ovarian cancer, this type of surgery can also be used to remove as much of the tumor as possible (debulking surgery) before chemotherapy is given. To diagnose ovarian cancer, a biopsy must be taken, which involves taking a sample of the tumor. This sample gets processed and examined by a pathologist who looks at the cells under a microscope and determines if the cells are cancerous and if so, what type of ovarian tumor is present. For the staging procedure, an exploratory laparotomy allows the surgeon to look within the abdomen to see if there are other organs where the cancer has spread to. Samples of other structures in the pelvis and abdomen are also taken, as well as fluids, and examined under the microscope. 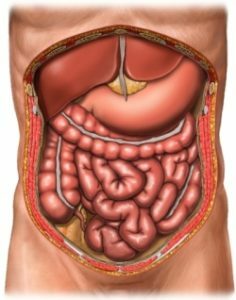 These structures include the diaphragm, the peritoneum (membrane that lines the abdomen), the omentum (a fatty membrane that covers the organs of the abdomen), lymph nodes, bladder and bowel. When an ovarian cancer is suspected by other tests such as a CA-125 test and imaging by a transvaginal sonogram, ultrasound, or CT scan discovers a mass on the ovaries or in the abdomen, one of two types of surgery will be performed. A laparoscopy may be performed if the mass is small and doesn’t appear to be complex. If the mass is larger than 2.75 inches (complex mass) or 3.5 inches (solid mass) on ultrasound, a laparotomy is more likely to be performed. Because ovarian cancer has the potential to spread early within the abdominal cavity, performing a biopsy of only the suspected sites of cancer is not recommended. An exploratory laparotomy allows the whole abdomen to be visualized and allows the surgeon to see if and where the cancer has spread to. If debulking is performed during the laparotomy procedure, as much of the cancer tissue as possible will be removed. This may involve removing one or both ovaries, the uterus (hysterectomy), fallopian tubes (salpingectomy) and other organs. 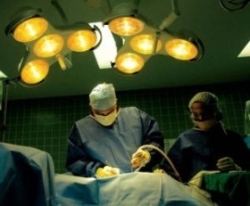 Typically the surgeon will not know before the surgery which organs and structures will require removal. Therefore the surgery may end up taking a longer amount of time if several areas are found to be involved. If you plan to undergo an exploratory laparotomy you should discuss the possible full extent of the operation with your surgeon or gynecologic oncologist before having the procedure. As a part of a woman’s ovarian cancer treatmenta re-exploration of the abdominal cavity is usually performed after the initial debulking surgery and completion of first-line chemotherapy. Called, second-look surgery, it is performed to rule out recurrence that is not routinely picked up by any other tests such as CA-125 and ultrasound. An exploratory laparotomy was often used as an accurate method of detecting left-over cancer tissue after ovarian cancer therapy, however its therapeutic value in prolonging survival has not been proven. In addition, a laparotomy surgery is highly invasive and results in significant expense, discomfort and time in the hospital for the patient. As a consequence, the less invasive laparoscopy may be a preferred option which in initial studies look promising and has shown comparable results to second-look laparotomy.